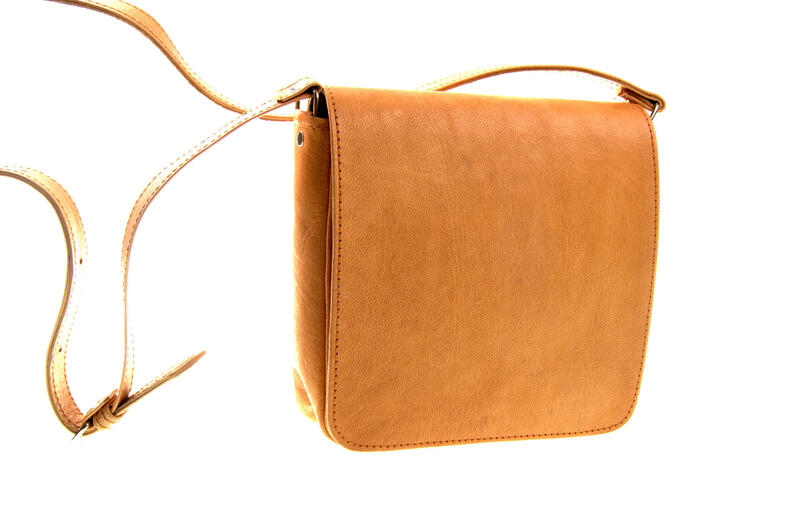 The real leather handbag Nigora Natural is an evening handbag for wallet and mobile phone with one inside separation and pocket. This real leather handbag is magnet-closed. 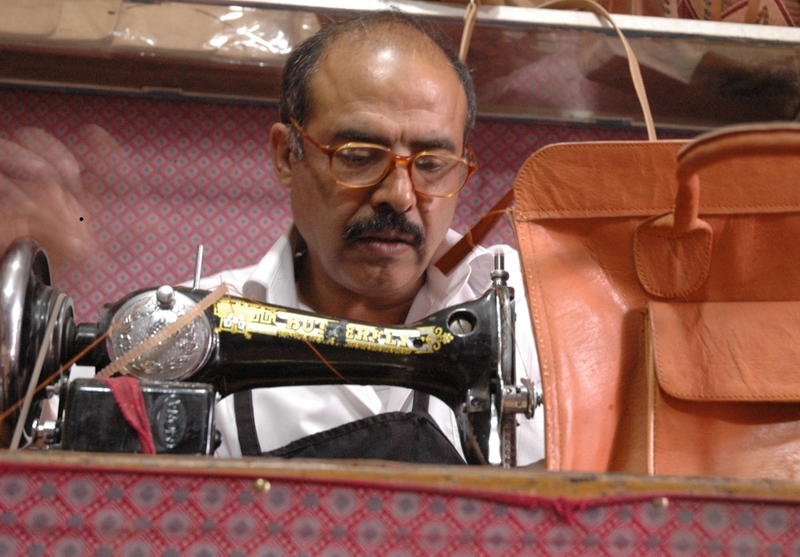 The leather bag is simple and convincing in its design. 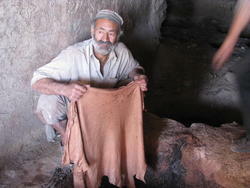 This leather bag is handmade in Kabul from naturally tanned goat leather. The leather darkens nicely with the time and becomes softer which is a sign of quality.